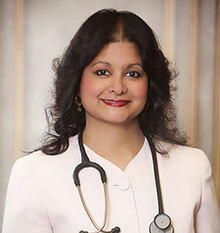 I am a holistic, integrative medical doctor, Board Certified in Internal medicine. I address the physical and emotional root causes of your symptoms and medical conditions. I help you to avoid medication whenever possible, safely decrease the dose of your medication(s)and safely get off of your medications by using a combination of scientifically proven natural remedies, nutritional counseling, advanced mind/body techniques and non-invasive technologies. I spend quality time with you, addressing your unique concerns in a caring and supportive environment. I also customize effective personalized programs for you based on your unique biochemistry, constitution, genetics and life experiences.